Outdoor Equipment » Royal Stewart Ltd. These days most people need a reason to turn off the T.V, power down the phone, put on their shoes and get going. If you want to throw a ball around a post for tetherball, we've got that. If you prefer some volleyball posts, well guess what? We’ve got those too. For over 50 years Royal Stewart has given people that incentive to get out and play. For any outdoor games, for all sports and outdoor equipment, RSL has got you covered from post to post. Our posts can be embedded in a concrete base to suit local soil conditions below the frost line. Weather can huff and puff, but it won't blow the posts down. Need more convincing? Perhaps try one of our combination soccer/football goal posts with optional removable protective padding and nylon netting. 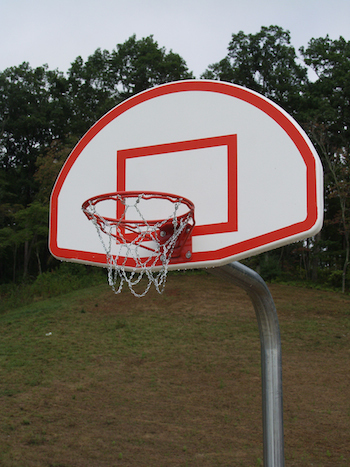 The versatile goal is perfect for dual sport purposes and can be adjusted with removable backstays for net support. 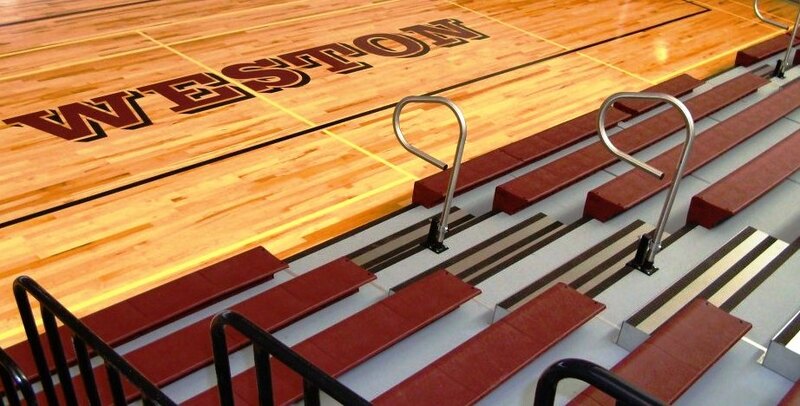 These are just a couple of examples of what we can do, as we deal with a number of suppliers to provide equipment for all outdoor sports, such as basketball, volleyball, tetherball, football, soccer, bike racks, and beyond. Although there are many sports, there is only one RSL. Whatever game you want to play, whatever posts you need, we can help you get the equipment secured into place so the only thing you have to do is call up your friends and set up the game.